Students majoring in Biomolecular Sciences focus on the study of how molecules work in living organisms. Towards the end of their degree, students must complete CBMS330 – the capstone unit of the Biomolecular Major. 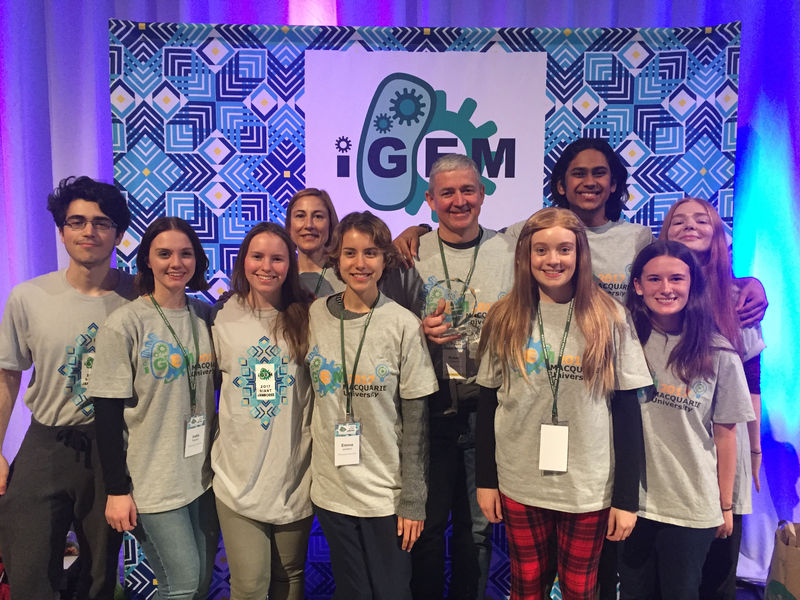 A major component of the CBMS330 capstone unit is that students have the opportunity to participate in iGEM – the international Genetically Engineered Machine competition. iGEM is the premier undergraduate competition for undergraduate research in Synthetic Biology and the only kind in the world!